If you're looking to stock daily-care products, end your search because this store offers everything from skincare, fragrances, kid’s products to show pieces. 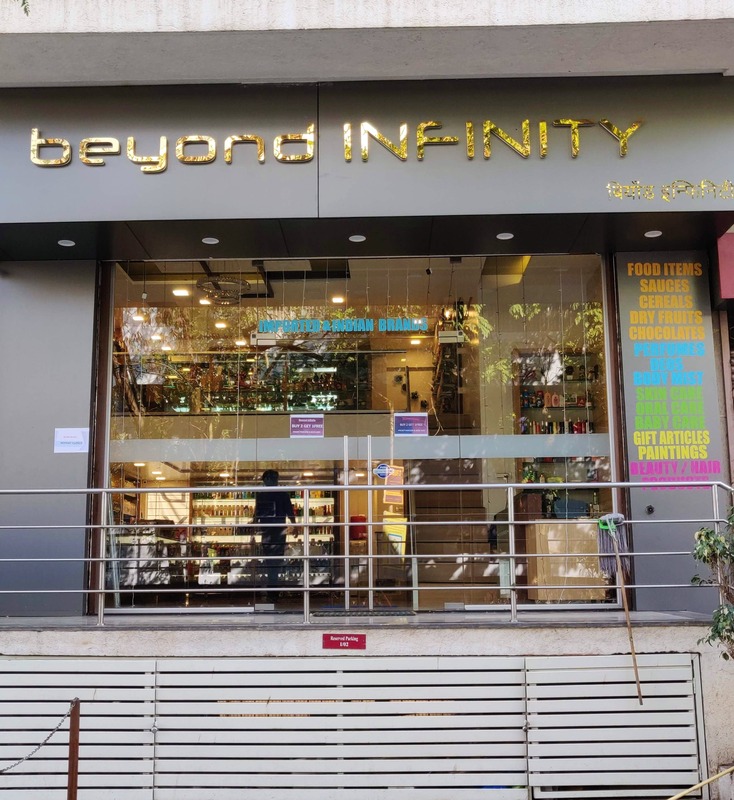 Located in Viman Nagar, Beyond Infinity is a multipurpose and multi-brand store. Fond of home decor? Then, check out their offerings of showpieces, paintings and gift articles. We highly recommend you to pick up their decorative plants made from rubber. Available in colours such as orange, yellow, blue and green, they will surely add a dainty touch to your home. Nothing charms us like fragrances! To up your glam quotient, they offer imported fragrances at an affordable price. Perfumes, deodorants, body-mists and antiperspirants - they have stacked up a range of fragrances for both men and women. We bet you'll love perfumes from The Fragrance Story, a homegrown brand from Pune. Starting at as low as INR 600, it can't get cheaper than this for a good perfume. Just in case you're confused about picking the right fragrance, don't fret, they have an attentive and helping staff. They have an equally impressive selection of skin care and other products like chocolates, cereals and dry fruits. What's more? They even have an exclusive shelf of kids-care products. Wait no longer and pamper your little one! Since it is a big store with plenty of offerings, one can easily miss out some products. We wish that they had a greater number of staff members to help us out.